During the summer of 2014, Jennifer embarked on a journey to Southern Turkey (Urfa, Mardin, Diyarbakir, Antep) and Lebanon. She wanted to see how the Syrian refugee crisis (almost half the population of Syria has been displaced, and currently both Turkey and Lebanon are hosting millions of refugees) was affecting these historic regions (Mesopotamia). She was also very interested in hearing the refugees' personal stories and in learning how I might be of service, thinking that this information and these stories would also be invaluable for her students in terms of putting a human face on the recent political history in the region. Everywhere she went, she met refugees. Families, individuals, mothers with children. She photographed people, interviewed them, and had the good fortune to make connections with some incredible aid organizations dedicated to improving the lives of refugees. When she returned from the first trip, Jennifer sat down with Vanessa and discussed how to tell the “story” - how a typical refugee family struggles with the basics like food, shelter, water and education, on a daily basis. 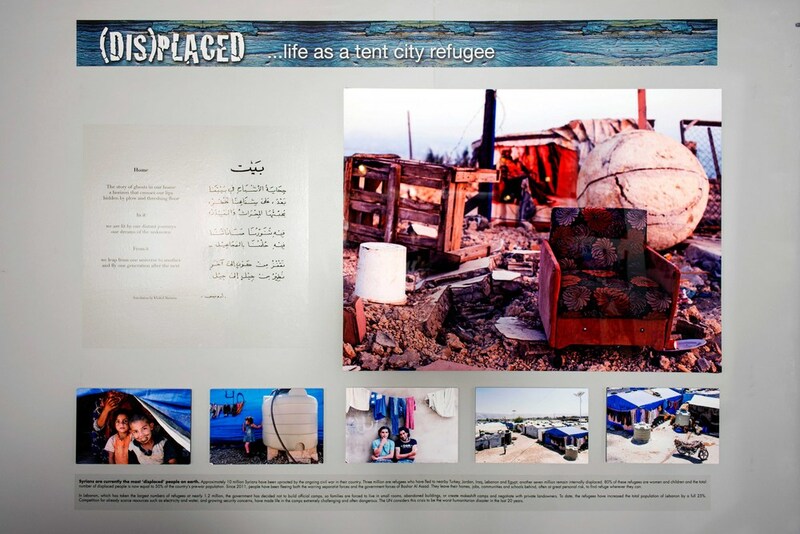 Together, they decided they needed additional imagery and so Jennifer returned to Lebanon for a second trip to visit the camps in the Beka'a Valley (security prohibited her from going earlier in the summer). She spent several days at the small camp of Musab al Tuliani, where many of the photos and film from the exhibit were taken and she was able to develop a relationship of trust with several key members of the community. Ultimately, it was also here, at this moment, that HADAYA was born - our organization providing basic toys, books and art supplies to kids in the camps. The purpose of the exhibit is to educate people about this very significant humanitarian disaster by offering bits of history, camp interviews, photos and text. 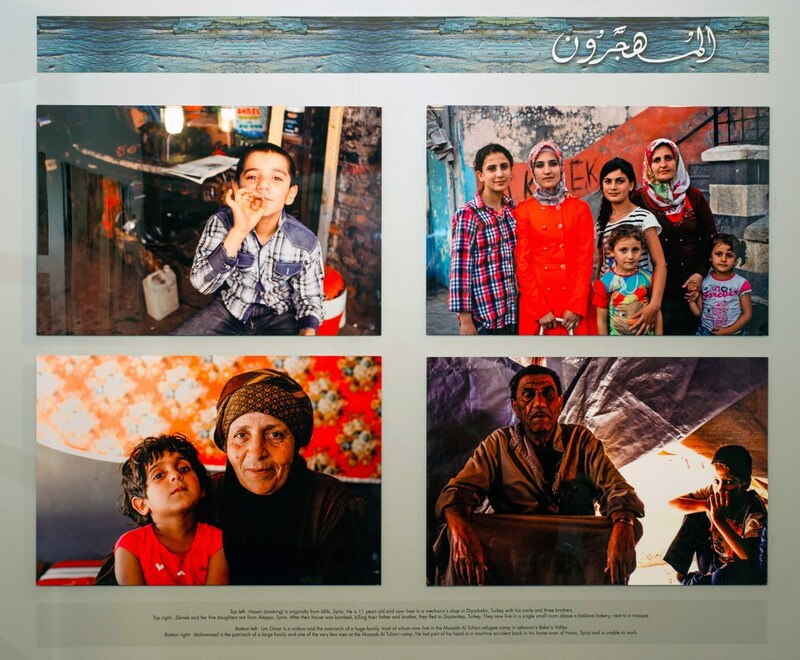 The exhibit encourages people to get involved by donating to either a well respected Women’s Collective (helping Syrian refugees earn a living through embroidery) or to HADAYA. A portion of all proceeds from the licensing of this exhibit will go back into HADAYA and directly benefit many of the children who are the subjects of the photos. If interested in bringing (DIS)PLACED to your gallery/school/exhibition space, please contact info@hadayatoys.com.